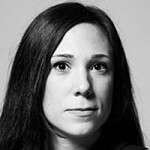 Francesca Trianni is a staff Video Journalist for TIME Magazine based in New York. She has contributed to many of Time’s most important stories in the past three years, including features for Person of the Year and Time 100. Francesca is currently working on Finding Home: a year-long project following the lives of four babies whose families escaped Syria. A native Italian speaker, Francesca earned her master's degree in digital media from the Columbia Journalism School.